In The Wolf of Wall Street DiCaprio plays Jordan Belfort, a Long Island penny stockbroker who served 20 months in prison for defrauding investors in a massive 1990s securities scheme that involved widespread corruption on Wall Street and in the corporate banking world, including shoe designer Steve Madden. 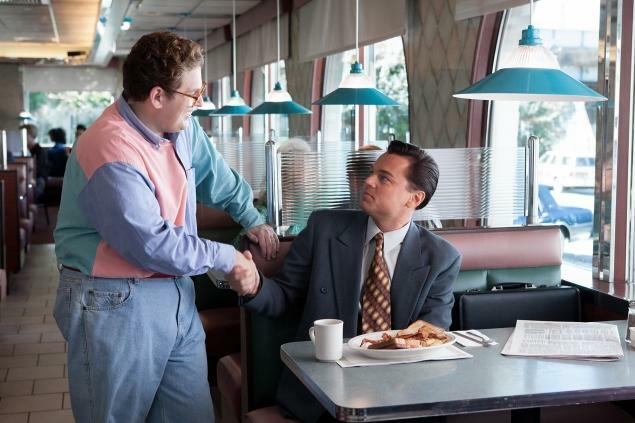 If you are a DiCaprio fan, him as Jordan Belfort will not disappoint you. The film was funny, it was fast and really vulgar. 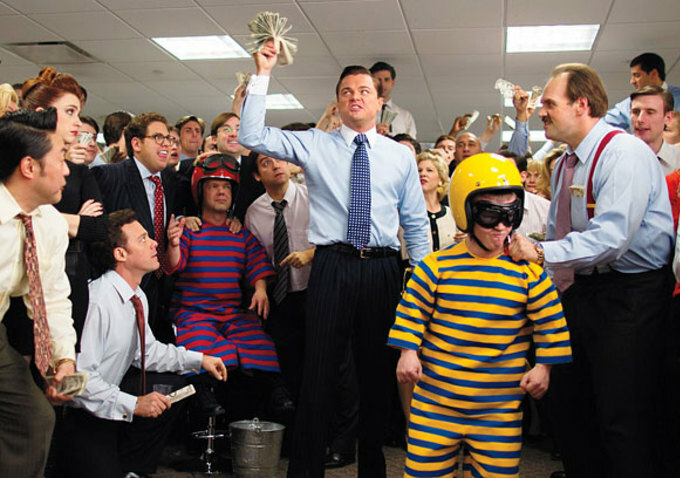 If Wall Street is a person, watching The Wolf of Wall Street felt like looking at his X-ray results with a magnifying glass. Everything seems exaggerated, and ridiculously dark and crazy. It was almost like seeing Lord Voldemort in the period film. If you read this review before watching, you might be able to appreciate the film a little more. If you’ve read this review after watching, hopefully it will improve your perception of the film. My dear friend who caught the film was rather disappointed with the film, yes, it was hilarious and cruel. But the amount of drugs involved, the insanity displayed in the film made him wondered why he was watching it. For three hours the movie operates at a ridiculous comedic pitch. What impressed me was not the content of the film, but the realism of the characters. I remember seeing in one of the countless Behind-The-Scenes and Interview videos related to The Wolf of Wall Street, Jordan Belfort asked his kids how they felt, seeing Leonardo DiCaprio acting as their dad. The excitement shown on their faces was priceless. (Guess what, I will most probably squeal like a One Directioner or Belieber if it’s me) But it also led me to wonder what the real Naomi Belfort (aka Nadine Belfort in real life) or even Teresa Petrillo (Belfort’s first wife aka Denise Lombardo Belfort in real life) will think if they ever watch this film about their ex-husband. I was so impressed with DiCaprio that I was disgusted. I love DiCaprio’s Frank Abagnale in Catch Me if You Can. This film actually reminded me of that. And Frank seems mild and harmless compared to Jordan. Jordan Belfort led a crazy life, and he seemed proud of it. Is that how the life of the rich goes? If it is, my life seems a tad more meaningful and happier. The film left me with a bad taste in the mouth about the stock broking world. The harsh truth about how one’s rich on paper but not in reality made me hope that this movie will wake many people up. So is this film worth watching? I will definitely recommend it, especially if you like re-looking and read up more articles after watching to see how much of the “nonsense” were actually carried out in real life! Check out the two incredible articles by HistoryvsHollywood.com and Slate.com where they did cross comparison with reality and the film. 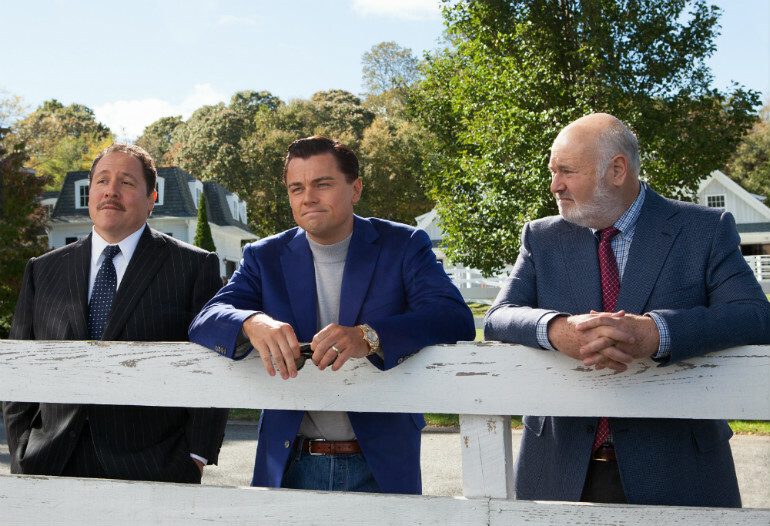 Real-life Jordan Belfort appears in a brief role in the film’s final scene, introducing his cinema stand-in Leonardo DiCaprio. As accurately portrayed, Belfort is now a motivational speaker who previously served 22 months in federal prison for stock fraud. 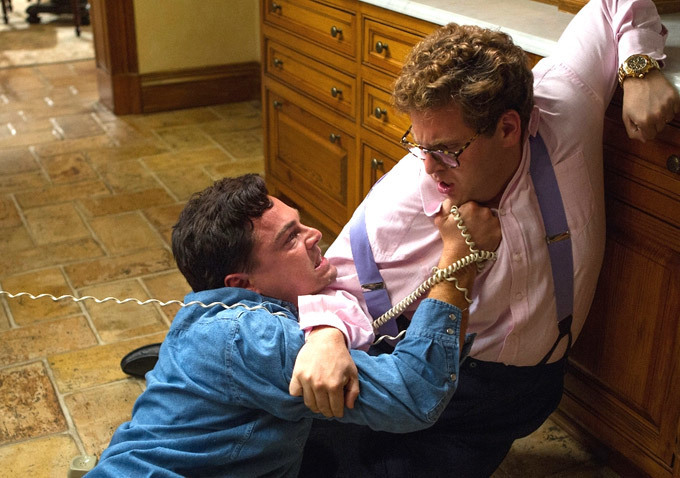 Jordan Belfort coached DiCaprio on his behavior, especially instructing him in the various ways he had reacted to the Quaaludes he abused as well as his drugged confrontation with Danny Porush. The actors snorted crushed B vitamins for scenes involving cocaine. Although their noses felt uncomfortable, it gave them more energy to perform their scenes. Matthew McConaughey improvised the scene when his character hums while beating his chest. In fact, through much of the movie, dialogue was frequently improvised. During the kissing scene between Leonardo DiCaprio and Joanna Lumley, Leonardo was so nervous that the scene required a reported 27 takes to get it right. This cast assembled by director Martin Scorsese’s film includes three other prominent directors in acting roles: Rob Reiner, Spike Jonze, and Jon Favreau. Rob Reiner’s first feature role in 10 years. “Mark Hanna” is an actual stockbroker who eventually also went to prison for securities fraud, but many other names in the movie have been changed: Belfort’s partner Danny Porush (who also was later imprisoned) is renamed Donnie Azoff; lawyer Ira Lee Sorkin, who later would defend Bernard Madoff is Manny Riskin; FBI Agent Gregory Coleman is now called Patrick Denham. and Nadine Belfort is now Naomi Belfort. 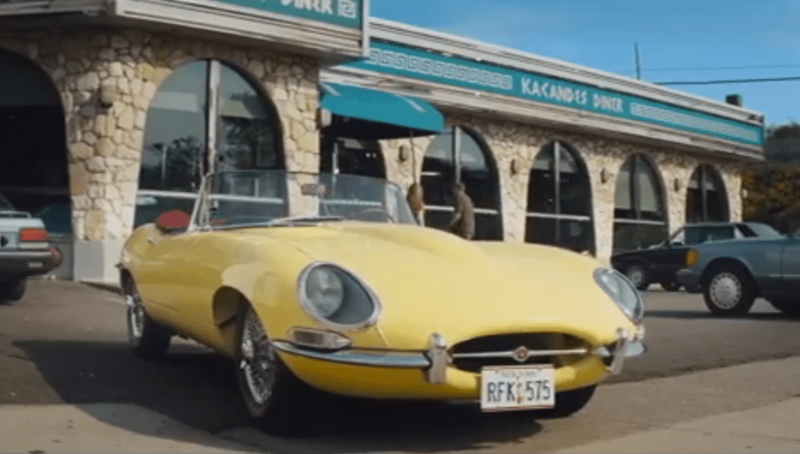 “RFK 575” -the license plate number visible on the front of Jordan’s yellow Jaguar that he parks at the Greek diner when he first meets Donnie, is the same plate number also used in at least three other previous films: The Long Kiss Goodnight (1996), Final Destination (2000), and Zoolander (2001). Leonardo DiCaprio’s dance scene was done on the spot but personally learned it by himself for decades. When Jordan pumps up shoe designer Steve Madden to his broker shock troops as an equal to Coco Chanel, it rings true, since Belfort’s real-life, 167-foot yacht had originally been built for Chanel in 1961. 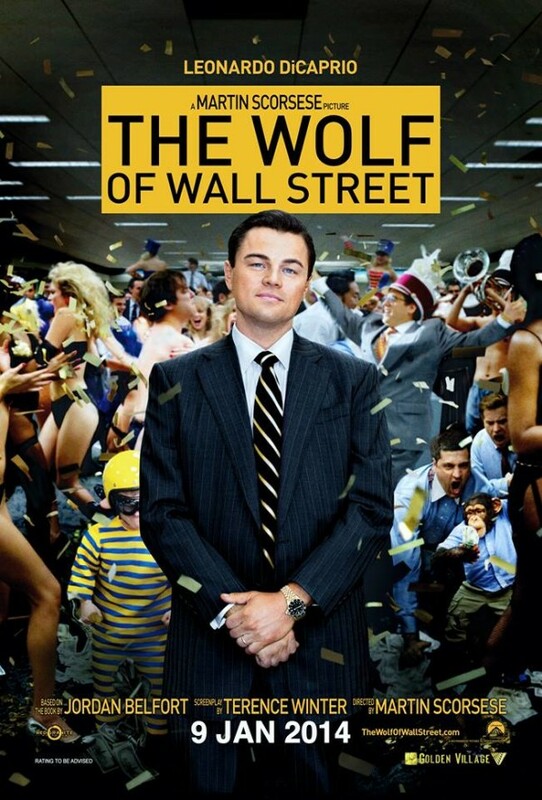 Check out The Wolf of Wall Street Official Website and Facebook Page! 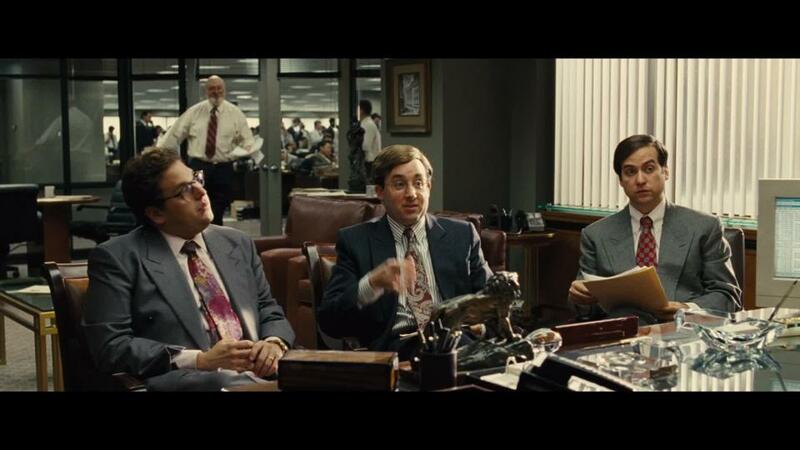 The Wolf of Wall Street will be in cinemas on 9 January 2014. I haven’t watched this movie although i kind of like Leonardo. I was thinking it’s about business and so I immediately stereotyped it as boring. I love business/Wall Street books as I work at a regional investment firm. Also, the movie “Boiler Room” is one of my favorites and supposedly this is the firm it was modeled after. Unfortunately this guy tries to be too cute in his writing style and he’s not nearly as funny as he thinks. He wants to impress you with his drug use and his wild life and also manages to get in quite a bit about his business. BTW, he does appear to be very talented as a chop shop owner/manager and just from a few tidbits you can see he knows the aggressive sales techniques necessary to be successful. But this book is confusing, boring, too long, and has very few interesting points. The author tells you what he wants you to hear, then gets to the end of the story and runs out of time without completing the full story. For example, after going on forever about his beautiful wife and drug use, after rehab they divorce. But instead of completing the story for full disclosure it’s about two pages with no mention of fault or what really happened.The synopsis of this book is exactly the type book I like: true stories of Wall Street. But this book is hugely disappointing and not worth the time. I’d take a pass on this one as it’s not worth the time invested.